Sports Skill Physics Foddy Click to find more games like this. Cheat: Hold the E button to get your athlete on feet. Hold the E button to get your athlete on feet. The hardest game ever made. 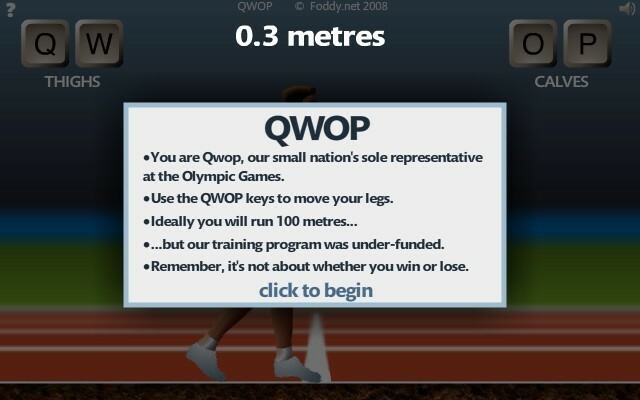 QWOP is a game where you do not have superpowers, and you do not get to live out your fantasy, but instead you need to regain something many of us take for granted: the ability to walk. 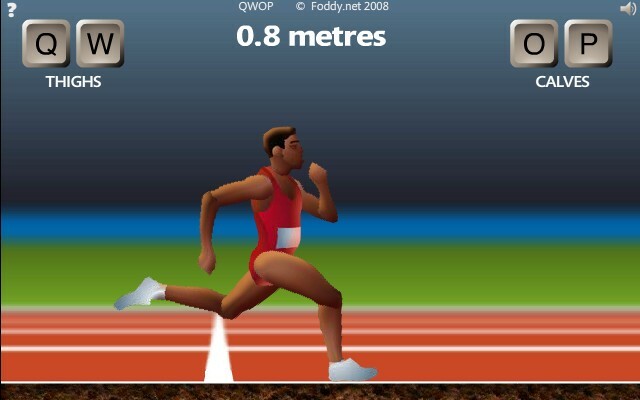 QWOP(pronounced KWOP) is a south African olympian runner whos low IQ technically qualifies him as mentally retarded. He is, however, not required to participate in the special olympics. 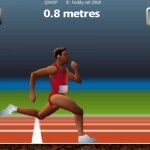 QWOP is known for his persistance. 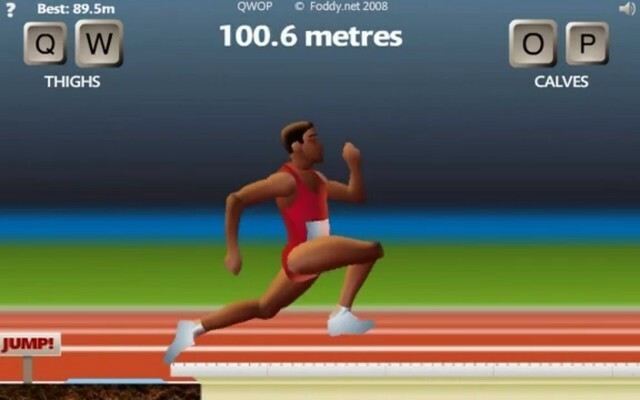 Due to his low IQ, he doesnt have full control of his motor functions, therefore he can usually only move about 0.5 meters before falling over (source, en.wikipedia.org/wiki/QWOP). 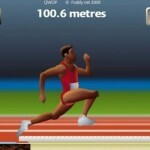 Despite this handicap, QWOP refuses to use a wheel chair. Atleast... thats what we think. QWOP is unable to form coherent sentences, but due to his facial expression(s) it is assumed that he doesnt want a wheel chair. In 2002, a study by the Pennsylvania state university on QWOP determined that his IQ is comparable to that of a 2 year old... rat. 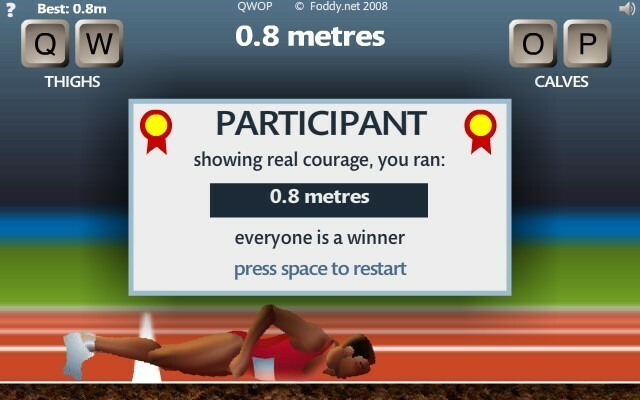 Players control an athlete named "Qwop" using only the Q, W, O and P keys. The Q and W keys each drive one of the runner's thighs, while the O and P keys work the runner's calves.